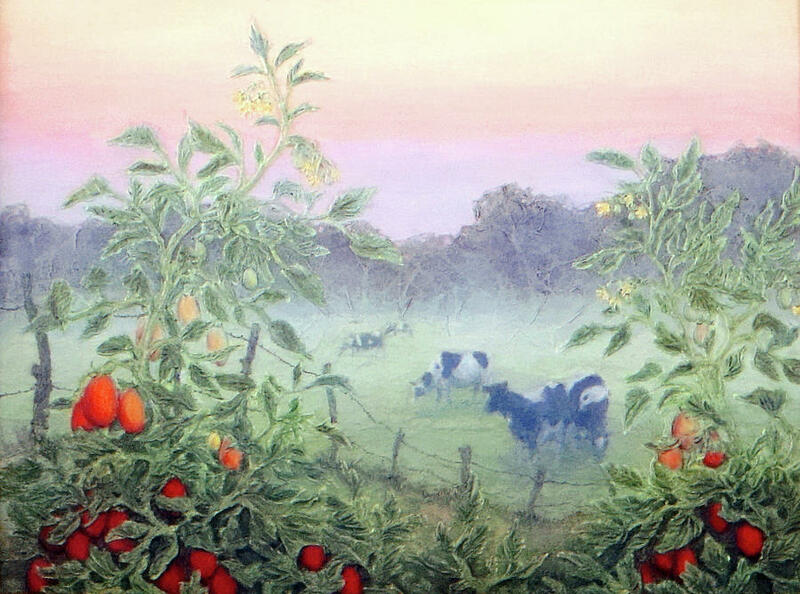 Tomatoes In The Mist is a mixed media by Lee Baker DeVore which was uploaded on July 25th, 2016. 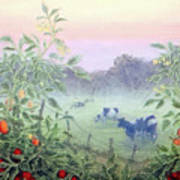 "Tomatoes in the Mist" was created using torn paper in the background trees and fields, acrylic modeling paste applied with palette knife for the cows and tomatoes, and acrylic paint for the coloring. It was originally created on a whim inspired by a contest by Bertolli for tomato paintings/artwork to consider in advertising. 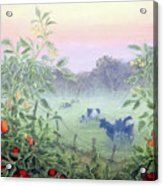 There is a sense of fun about this painting, thinking of lovingly admiring tomatoes in the early morning mist, with the cows. 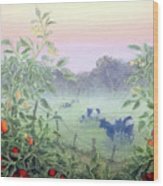 The use of the torn paper and the modeling paste give this piece added depth and 3 dimensional qualities, even in reproduction. 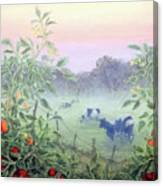 There are no comments for Tomatoes In The Mist. Click here to post the first comment.